Example of a nested comment discussion in the stream-view. Nested Comments is an userscript by Deus Figendi that allows to create and view nested comments in diaspora-discussions. 2.3.4 The script's too fast! Nested Comments allows the user to answer directly to a comment. If the script is used, these comments are shown as tree-like subcomments. What technically happens is this: the script creates a link, at the beginning of a comment, which leads to another comment. The text shown by the link doesn't matter, just its target. If the target is found on the current page, the comment containing the link is shown as a subcomment of the one it is linking to. This way, the script works totally transparently, not only for the script users but also for those who do not use it. They can just click the link (and read the text hovering over the link, when the hovering option is used) to know the comment it is commenting on. Location of the comment button. Usage is simple: whenever you'd like to comment on a comment, not the post itself, move your cursor to the upper right corner of that comment (that's where you can delete your own comments or flag abuse). There, you will find a little plus (+) symbol; click on it and the comment-area at the bottom of the page will be prefilled with the code for a nested comment link. You can just write your comment after that link and you're done. Slightly more advanced users can also edit the link. The link's target should be kept untouched, otherwise the script will not be able to recognize it, but you can change the text the link shows (you may even leave a nearly invisible single dot) and edit or add the title-text (that is the text shown when you hover a link). You may use a quote to provide more context. To do so just select some text of the comment and hit the plus(+) while the quote is selected. If the quote you use is long (more than 20 characters), it will appear as an hover effect on the name of the commentator which appears at the beginning of your response. Otherwise, your quote appears instead of his or her name. 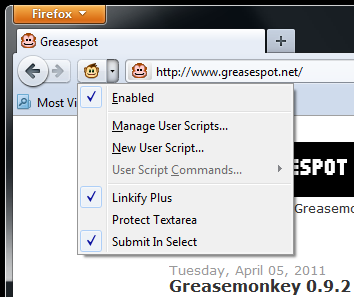 As with other scripts for Diaspora, you will need Greasemonkey (Firefox), Tampermonkey (Chrome) or the equivalent for Safari. Opera should run userscripts native without any extension. Sourcecode, Download and Installation. Just click to install. Check if your pod is listed in the "include"-part of the script in the meta-data in the verry first 50 lines. Check if the script throws any errors by opening your error-console (Ctrl+Shift+J) and watching for "nested comments"-errors. Unfold the comments by clicking "View more comments"
Be patient, wait for about 10 seconds. Scroll to the bottom of the page and refresh (Ctrl+R) to see for a few instants the discussion in non-nested view, before the script kicks in. If trying again fails, deactivate the script and refresh. Change the timeout-values at the end of the script to higher values (e.g. 5000ms instead of 1999) to delay that "kick in".